William H. Filter & Roland W. Filter; edited by Susan K. Filter. A pamphlet containing excerpts from the war letters of William H. Filter, WWII, and Roland W. Filter, WWI. Introductions by Susan Filter, W. Jeffrey Filter, and Elise Filter. 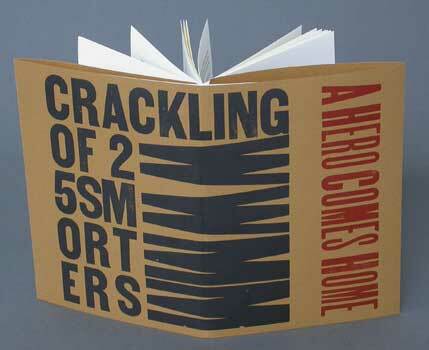 Cover printed letterpress by Susan Filter and Peter Koch. Text reproduced by copy machine on Mohawk superfine text. Brown Fabriano Ingres wrapper featuring antique wood type. Copyright © 2009, Peter Koch. All Rights Reserved.